Rich Christian, Poor Christian: Do You Feel God's Pleasure? Do You Feel God's Pleasure? God wants you to enjoy life. He wants you to experience pleasure. He wants you to experience the right kind of pleasure that only comes from walking in a strong relationship with Him. He richly provides us with everything for our enjoyment (1 Timothy 6:17b). A Christian who is rich in Christ knows that He has been created with a God-centered purpose for His life. The Rich Christian knows what his God-given natural talents, abilities, and strengths are. Do all of these abilities have Kingdom purposes? On the surface, it may not always appear that way. 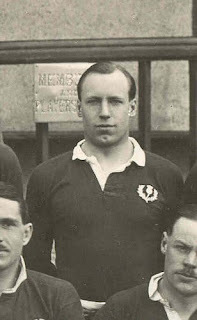 Take for example the famous Olympic runner and missionary to China, Eric Liddell. Eric was born in China to missionary parents, and at a young age, his parents moved their children to England to attend boarding school while they remained on the mission field. Eric's athletic prowess was evident at a young age, and while attending college in Scotland, he became known as that country's fastest runner who was destined for Olympic greatness. But Eric was not just known as a fast runner. He was also known to be a young man who was "entirely without vanity" as well as a man strong in his Christian faith. From this position of athleticism and faith, Eric was asked to be the speaker for the Glasgow Students' Evangelical Union. Eric eventually went on to the 1924 Olympic games in Paris, France. Interestingly enough, because of his faith, he refused to run in the 100 meter race (which was his strongest race) because it was held on a Sunday. Eric did, however, train for the 400 meter race and went on to win the gold medal, achieving a new world record. Through all of his Olympic success, he always honored God. On the surface, being an athlete seems like such a self-centered activity. Much time is devoted to practice and training which seemingly could be devoted to more "spiritual" activity. Why didn't the young Eric just throw away his running and move straight on to the mission field? God has different seasons of life that he wants all of us to experience for our own personal growth, knowledge and experience. God gave Eric the athletic ability of running very fast, and Eric was able to combine this passion with his love for Him. God allowed Eric to achieve great accomplishment and fame in order that He could be a testimony of a committed Christian on the world stage of the 1924 Olympics. God gave him the platform of a gold medal Olympian on which he could accomplish even greater ministry as a result. As a young man, did Eric Liddell understand all of these things? Perhaps, but in his own words, Eric just knew that God created him to be a fast runner and that he experienced God's pleasure when he ran. For Eric, it was as simple as that. What personal passion, activity, or talent allows you to feel God's pleasure? Can God through you use this pleasurable activity for Kingdom purposes? When do you ditch the beater?